A map of every campsite (580 of 'em, with no dups) I was in for my previous ten years of travel is here. Check it out! Note: Click on small photos for a larger one. Click on the USA flag-map ( ) to see the actual camp location (green arrow) on a map (+/- 50 ft). Well, another season of ramblin' is done! I'm now back in my winter residence on the Central CA coast. Sure am going to enjoy those long hot showers and my easy chair. :) Thanks for following my ramblin' this year! 9,670 miles, 11.0 mpg, $2.69/gal average fill-up (gasoline), $2.09 min, $3.99 max. 106 nights camping (including 7 boondocking, but excluding in driveways, etc.) in 76 different campsites. 11 nights @ $0/night. $10.20 average campsite fee, with discount, and $15.55 without. Free campsites (boondocking, etc.) included in average cost. Feel free to contact me via email or my guest book. Islay Creek CG, Montana de Oro State Park. 5 mi SW of Los Osos, CA (via Los Osos Valley Rd and Pecho Valley Rd). 100 ft.
Secluded CG in a beautiful State Park on the coast. 50 paved sites on level land in two sections in a canyon. Feels more like a typical USFS CG, than a State Park one. Loads of hiking available along with a beautiful beach cove. Spectaclular scenery. You can even hear the waves crashing at your site when the surf is big! Vault toilets. $25. Selby CG (BLM) in Carrizo Plain National Monument. 43 mi E of Santa Margarita, CA on hwy 58, then 16 mi SE on Soda Lake Rd, then 4.5 mi S on marked dirt road. 2500 ft.
Wheeler Gorge CG (USFS). About 8 mi N of Ojai, CA on curvy hwy 33. 1800 ft.
70 paved sites, usually close together. 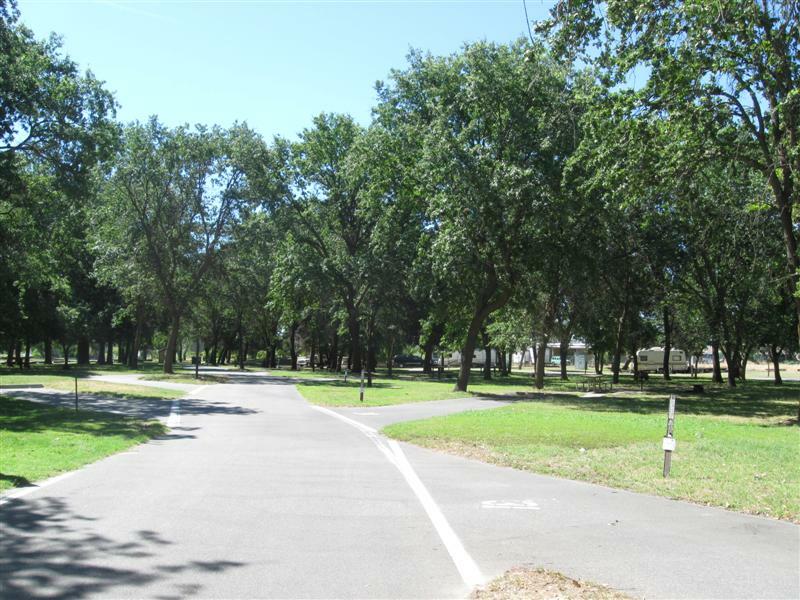 Most well shaded by large live oak trees. In a narrow canyon, so late sunrise and early sunset. CG is alongside hwy, but minimal traffic. Small creek runs though CG (but dry now). Fourth time here. $25. Los Alamos CG (Dept. Water? ), off I5 8 mi S of Gorman, CA. Take Smokey Bear Rd exit, then S to lake entrance, then right and follow road N & W about 2 mi. 2800 ft. Note: My Garmin GPS tried to route me another way from Smokey Bear Rd, which was longer and I don't think would have worked. 93 sites in 3 loops on hilly, sandy land. No or little shade in sites, except for about 6 with shade structures. Flush toilets and sinks. Pyramid Lake nearby. Slight hum from I5, but overall very peaceful. Dump station. No Senior Pass discount. $20 (higher for shade sites). 5th time here, since convenient to I5 to/from SoCal..
Medeiros State Rec Area CG near Los Banos, CA. 3 mi W of I5/hwy 152 jct off 152. 230 ft. Primitive sites with ramadas on level land on edge of reservoir. Some shade, depending on site. On O'Neill Forebay near San Luis Reservoir. Lots of birds on the water. Pit and vault toilets. Convenient to I5 travelers. Slight hum from I5, but generally quiet here. Other State CGs nearby. $20. Fraser Flat CG (USFS). 25 mi NE of Sonora, CA on Hwy 108, then 3 mi N on paved Fraser Flat Rd. 4700 ft. Note: Fraser Flat Rd drops about 1000 ft from the hwy, but is only moderately steep. Very nice CG with 39 paved sites in 2 loops on level ground. Plenty of tall, conifer type trees for shade. Some sites have very significant shade. 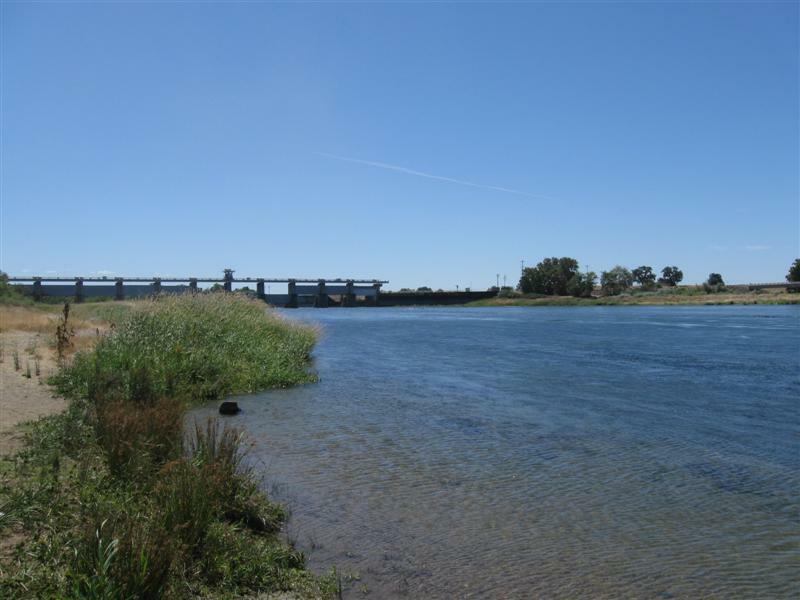 Stanislaus River (S Fk) alongside CG, with fishing pier. Well off the hwy for peace and quiet, but there were some logging trucks going by on the adjacent road. Vault toilets. $19. Nearby USFS office said CG was closed, but fortunately they were wrong. :) A very nice CG to spend a couple of nights near the end of my 2016 ramblin'. Horseshoe Bend CG (Water Dist). About 4 mi W of Coulterville, CA on Hwy 134. 900 ft.
110 dirt sites in several loops. On Lake McClure (didn't see it). Lots of tall trees for shade. Flush toilets & showers (past their prime). $22. Very curvy driving today, so I didn't mke it to my planned CG. Only one other site occupied here in the only loop open. Dorabelle CG (USFS) near Shaver Lake, CA (50 mi NE of Fresno, CA). In Shaver Lake, take Dorabella Rd off hwy 168 1 mi to end. Note: CG not marked on hwy 168 (that I saw, anyway). 5400 ft.
68 dirt sites(some tent only) in a heavy stand of mixed conifer trees. On sloping land with lots of big rocks. 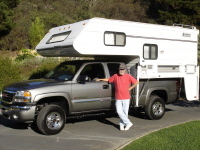 RVs will need leveling blocks in many sites. No lake view from most sites. No hwy nearby, so very quiet at night. Vault toilets. $30. Was here in 2008 and it was $19. At $30, the most expensive FS CG I remember being in. Tule CG (COE) on Lake Success. About 9 mi E of Porterville, CA on CA190. 600 ft.
100+ paved sites on level land in 2 widely separated areas. Scattered trees, but significant shade at your site is unlikely. On a large lake, but very low now due to CA drought. 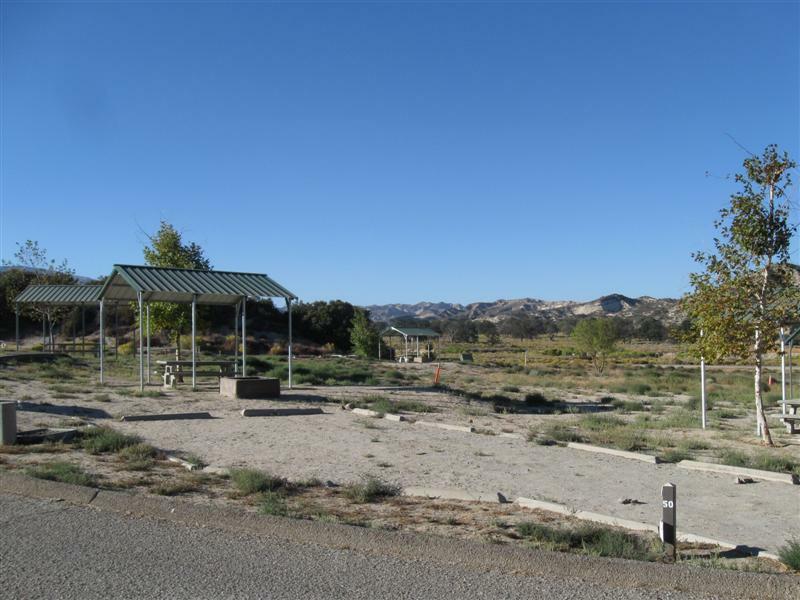 Large day use area with picnic shelters and children's playground equipment. Slight noise from adjacent hwy. Flush toilets and showers. Free dump station. $20. Oak Flats CG (USFS). 6+ mi N of Castaic, CA on I5, then 3 mi N on Templin Hwy & Golden State Hwy. Turn left at Oak Flat Station sign. 2800 ft.
27 gravel sites on level land. Many sites close together. In a nice grove of live oak trees, so some shade (when there are leaves on the trees). Minimal privacy between sites, since no low vegetation. About 1/2 mi from I5, but only hum sounds from trucks. Old style pit toilet (not in good shape and no TP). $0 (Adventure Pass required, though. I assumed my Senior Pass was valid and left it on my dashboard). Was visiting friends in S CA. Also took an 8 day air/car trip to Nashville, TN and Raliegh, NC to visit music venues with a fellow musician friend. Had a great time. My first time in NC & SC. Owl Canyon CG (BLM). About 12 mi N of Barstow, CA via Irwin/Fossil Bed/Rainbow Basin/Owl Canyon roads. Last 4+ mi is dirt/gravel, a bit bumpy at times. 3000 ft.
Back in CA after almost 3 months away! About 25 dirt/gravel sites in a desert environment, well apart. Well developed sites, with firepit, BBQ and shade structure over picnic table. Very interesting terrain, not just flat ground. Playground equipment in more than one location (highly unusual in a FS/BLM CG). Very quiet at night. Several vault toilets. $6. IMO a very appealing CG in mild weather. A motel in Kingman, AZ. Fort Tuthill County Park and Fairgrounds. On US89, 3 mi S of I40/I17 junction in Flagstaff, AZ. 7000 ft. Here for the very fun Pickin' In The Pines bluegrass festival. Camped with a jamming buddy from CA. Heard a lot of great music from the stage and did some pickin' and grinnin' with camping neighbors and CA friend. My favorite act was "The Earls of Leicester", playing only Flatt & Scruggs songs from the early days of bluegrass. Very nice music stage with fixed seats, folding chairs and grass seating. Beautiful weather, but around freezing all nights. Second time here. Bonito CG (USFS). 16 mi N of Flagstaff, AZ on hwy 89 and 2 mi E on NF-545. 7100 ft.
Nice CG with 44 paved sites, well apart. On mostly level land with plenty of tall pine trees for shade. Ground is "volcanic gravel". Flush toilets. Across the road from the Sunset Crater National Monument Visitor Center. Well off the hwy for peace and quiet. $22. 4th time here. Much of the drive today had a beautiful view of red rock bluffs. Sure was windy, though. Had to work to keep my rig in my lane. Boondocking site (USFS) Not a developed campground. About 9 mi S of Jacob Lake, AZ via AZ67 and a forest road. 8300 ft. Highest CG for this year! Bye, bye Utah. Hello Arizona! Nice spot in the pines and on the edge of a meadow. Not far off the almost-no-traffic dirt road. Quite windy, so I didn't sit outside much. Sun kept going behind the clouds making it too cool. Had a nice view of the meadow out my back window, though. Heard coyotes at dawn. $0. Was in this area (Kaibab Plateau) back in 2013 and glad I could visit again. Plenty of boondocking spots. Kanab RV Corral. On Hwy 89A in downtown Kanab, UT. 4900 ft.
44 gravel sites, with typical commercial RV park pack-em-in spacing. Nice place, though. Has pool, laundry and showers. In walking distance of stores and restaurants. Biggest downside is that it's right next to busy Hwy 89A. Although in the back (where I am) it's not that bad. $39 (w/full hookups). 2nd time here. I love the red rocks in this part of UT!! Maple Grove CG (USFS). From Scipio, UT (on I15) take US50 about 15 mi S, then W on Maple Grove Rd (watch for CG sign). Follow paved road about 4 mi to CG. 6400 ft.
Nice CG with about 20 paved sites, plus 3 reservation group areas with multiple sites. A variety of primarily leafy trees, including (who'd a guessed) maples. CG is on sloping land with sites well apart. Fancy red brick vault toilets. Small creek runs through CG. CG is at the base of a tall, scenic red rock bluff. Well away from the hwy, so very peaceful here. $15. Several people arrived after I did and it got a bit noisy. Saturday around noon I looked for another site and found one away from the noise and on the creek. Yay! Third time here. 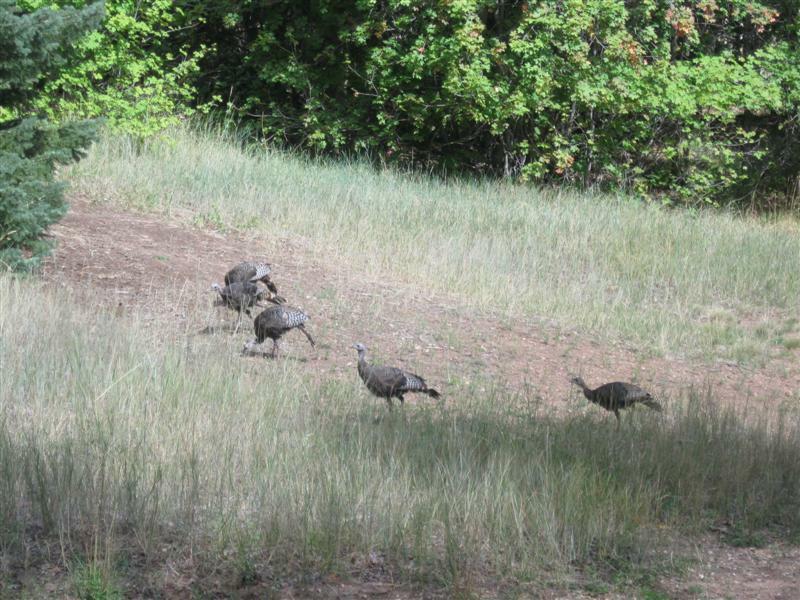 Saw a family of turkeys again. Whiting CG (USFS). 3 mi E of Mapleton, UT on E 400 N. 5500 ft.
Bye, bye Idaho. Hello Utah! Very nice CG with 27 paved sites in a narrow canyon. Most are along a straight (slightly uphill) road, but there is one small loop. Group sites, also.. One of the shadiest CGs I've been to, due to many leafy trees. Dry creek bed (this time of year) runs through the CG. CG road ends at a trailhead, so there is some traffic from non-campers. Vault toilets. $20. Hawkins Reservoir CG (BLM). From Pocatello, ID take I15 S to Exit 36 (Hawkins Rd, paved), then go W about 9 mi.. 5100 ft.
10 primitive gravel sites on a hillside. Across the road is a small reservoir. Sites have gazebo over a picnic table. A small bit of late daytime traffic, but very peaceful at night. Saw some people fishing the reservoir. Vault toilet. Uncle Sam freebie at $0. Much more morning traffic, mainly hwy dept trucks. How do I end up at these obscure CGs? I look for CGs on uscampgrounds.info along my route in the area I want to stop driving for the day. I bypassed a couple of others I'd already been to, because I like to try new ones. Stoddard Creek CG (USFS). 12 mi S of MT/ID line on I15 then 1 mi W on campground road. 6300 ft.
Bye, bye Montana. Hello Idaho (again). Very nice CG in a heavily wooded area. 24 sites (including 1 group and some doubles), split between 2 levels. Some sites paved and others gravel or dirt. Well developed sites, with parking, eating and tent areas nice and level and boxed in with wood. I'm on the "hilltop" level. Many sites very long for large rigs. Very handy to I15 with only very slight truck noise. $10. 4th time here. I was the only one in the upper level besides the CG host. As usual, had a great time at my my cousin's in Dillon, MT. But, like Willy, I'm on the road again. Had lots of fun, but the local rivers weren't in good shape for fishing (too low or warm). Took a guided trip on the famous Madison River and caught a 15" trout and a larger one spit the hook. My cousin landed two 19" ones. Local mountains had some recent snow on them when I left. Beaverdam CG (USFS). From Divide, MT, 9+ mi N on I-15, then 6 mi W on good gravel Divide Creek Rd. 6500 ft.
15 gravel sites on level land. 2 well separated loops, with a picnic area between them. Shade best in the first loop. Sites also on the road between the loops. No hwy noise here, since you're 6 mi from it. Heard a little ATV activity on an adjacent dirt road that leads to some boondocking (per FS person I talked to). Vault toilets. A real deal at $5. Yikes, low of 25F 2nd night!! Ruby Creek CG (BLM). 18+ mi S of Ennis, MT on US287, then 3 mi S on Johnny Ridge Rd and Ruby Creek Rd (mostly paved). 5500 ft.
22 gravel sites, in 2 loops on level land. Sites well apart. Bring your own shade. Alongside the famous-for-fishing Madison River. Nice views of surrounding mountains. Very quiet. Boat launch. Vault toilets. $12. Very peaceful here and not many other sites occupied. So, I stayed a 2nd night. Paid off as I think I got my fridge working again! :) Tried fishing for an hour, but no luck. Saw many boats floating by and several caught fish while I watched! Low of 33F. Red Mountain CG (BLM). 16 mi N of Ennis, MT on US287 then 8 mi E on hwy 84. 4500 ft.
Well above the average BLM campground. 17 gravel sites on level land. Most well apart. Several sites parallel to the Madison River. These are side-of-the-road type and closer together. No shade, except for the "move your chair frequently" type from small trees, or make you own. Boondocking camping across the river. Horseshoe pit. Vault toilets. $12. Quite a storm at night. Wind came up about 9 with gusts to 25 mph. Camper rocked a bit. About 10 the hail started, followed by heavy rain. Beaver Creek CG (USFS). From West Yellowstone, MT, go 8 mi N on hwy 191 and 17 mi W on hwy 287. 6400 ft.
65 gravel/dirt sites in 3 loops, on hilly land. Loops so far apart that they feel like separate CGs (and have separate pay stations). Lots of tall conifers for shade in many sites. 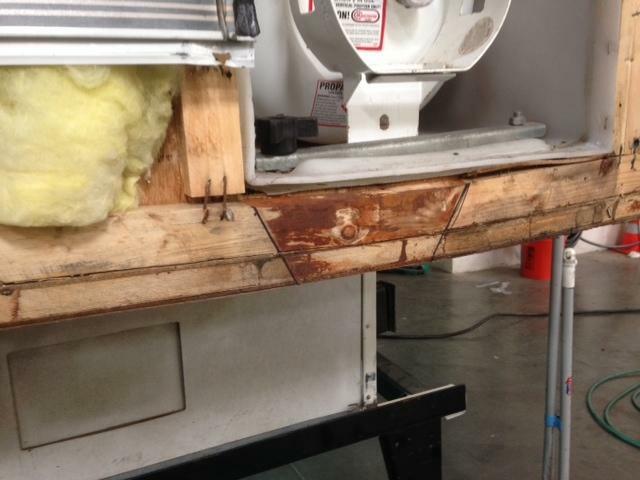 RVs will need leveling blocks in some sites. Near Quake Lake, Hebgen Lake & Madison River. 2nd time here. My loop (A) has pit toilets (but not smelly). $15. I had a nice private site. Was the only one at the end of a long loop. When I played my mandolin, no one complained. :) Saw a weasel in my site. Don't ever remember seeing one in my many years of ramblin'. Quite smokey in the evening, from fire in Yellowstone NP. Bakers Hole CG (USFS). About 3 mi N of West Yellowstone, MT on US191. 6500 ft.
72 gravel sites on level land in 2 loops. Busy hwy on one side generates considerable noise (at my site). However, the beautiful Madison River is a short walk on the other side. Lots of tall, skinny pines. Very convenient to West Yellowstone and the West entrance of Yellowstone NP. Electric sites available. 2nd time here. Vault toilets. $16. A fire on the W side of Yellowstone NP made for smoky air sometimes in the CG area (cough, cough). Lonesomehurst CG (USFS). 7 mi W of West Yellowstone, MT on US20, then 3.5 N on Denny Creek Rd (paved, except for last mile with washboard gravel). 6700 ft.
Bye, bye Idaho. Hello Montana! 27 gravel sites, rather close together, on level land. Sparse or no trees at many sites. On an arm of the beautiful Hebgen Lake. About 10 sites are "lakeside", some with a spectacular view of the lake (lucked out and got one!). 3rd time here. $16. On the way here, I revisited the very interesting Johnny Sack Cabin in the Island Park area of ID. Built in the 30s by one person, using primarily hand tools. Incredible craftsmanship!. Buffalo CG (USFS). Across US20 from Pond's Lodge in Island Park, ID. 6200 ft.
Mega CG with 127 paved sites in 7 loops, on level land. Doesn't seem that big when you're camped in your loop, though. Pine trees and aspens. The clear and shallow Buffalo River runs alongside the CG. Some truck noise from hwy. 2nd time here. Vault toilets (in my loop). $15. Saturday night I had planned on staying at a nearby boodocking spot, where I'd been before. Bummer, it was already taken. So, I returned here, knowing it had open sites. Riverside CG (USFS). 15 mi N of Ashton, ID on US20, then 1+ mi E on access rd. 6100 ft.
57 sites (some gravel, some paved) in 3 loops. Loop "A" has sites on the beautiful Henry's Fork River, with limited shade. B & C loops have more shade (C the most). Far enough from hwy so no noise. 3rd time here. $15. On the way here, I visited the impressive Mesa Falls, on the Henry's Fork River. Don't miss it, if you're in the area. Boondocking site (USFS). Not a developed campground. On the Mesa Falls Scenic Byway, near Upper Mesa Falls, take dirt Warm River Rd E. Go about 7 mi NE and look for road to CG on right. No CG sign. However, at the "Y" about 2-1/2 mi from hwy, there is a sign. 6000 ft. Note: Last half of road is a bit narrow at times with few pullover opportunities, but several big rigs were there when I was..
A mix of pine groves and open areas on level land. Plenty of room. There were probably 6 other RVs here and the nearest was 75 yards away. Small creek. Some ATV activity the morning I left. Might be worse on the wknd. The usual boondocking fee of $0. This is actually an ex-campground (Pole Bridge). Only some wooden picnic tables left. The host at a nearby CG told me about it, since his was full. It's still listed in a CG database, so I put the coordinates into my GPS and found it. Joe T. Fallini CG (BLM). On MacKay Reservoir, ID. 5 mi N of MacKay, ID on US93. 6100 ft. Very nice CG with 22 paved sites (+4 tent sites). In 2 well separated loops, on sloping land. Little shade. Some sites have a gazebo for the it, though. On a large reservoir. Alongside a hwy, so expect some noise. Vault toilets. $10 ($14 w/elec). Really windy when I got here. Gusts to about 25 mph. The wind cancelled out the hwy noise, however. Only 2 sites open when I arrived. Beautiful drive today, with much of it along the Salmon River. Narrow canyon near Stanley opening up to a wider one near Challis. Casino Creek CG (USFS). From Stanley, ID, go 5+ miles NE on ID75, then cross river and follow dirt road S 1/2 mi to CG. 6100 ft.
17 gravel sites (plus 2 walkin) on level land. Not much vegetation between sites for privacy, but some have good spacing. Small trees for sporadic shade. Salmon River is alongside the CG, with a moderately busy hwy across the river. Not the typical FS CG layout. Sites are along a straight road (dirt) and have log rail fences between the site and river. Most sites on the river side of the road. Even with the hwy noise, I liked it here! A neat vibe. Also, you're farther away from the hwy here than other FS CGs nearby. Vault toilets. $14. Sunny Gulch CG (USFS). 4 mi S of Stanley, ID on ID75. 6300 ft.
Nice CG with about 45 paved sites on 2 levels. Very well developed sites and spaced well apart. Privacy mostly from spacing. Skinny pines for skinny shade. Hwy alongside will generate some daytime noise, but back sites are farther away from it. Salmon River is behind back sites, down a hill. Vault toilets. $18. One of my followers recommended a shorter way from where I was to Stanley, via the Landmark-Stanley road. Involved about 45 mi of dirt road, sometimes bumpy and curvy, but it wasn't bad. Just took my time. When I neared Stanley, I had to stop about 20 minutes for a pilot car through a fire area. Fire had burned right down to the road. Low of 33F at night. Brrr! Smoke from large fire W of here near Lowman and smaller one on W edge of town ruins the view of the beautiful Sawtooth mountains. Bummer. Was looking fwd to the scenery, since I've been here twice before. Wait ... winds came up just as I was leaving the CG and got a nice view of the Sawtooths. Yay! Boondocking site (USFS). Not a developed campground. In the Warm Lake, ID area. 7+ mi S of Warm Lake Rd on Stolle Meadows Rd (FS474). 5500 ft. Right alongside the road, but hardly any traffic. Some tall trees for good afternoon shade. Nice little creek near enough you can hear its music. Room enough for one more rig. Can't beat it at $0. South Fork CG (USFS). From Cascade, ID go 1 mi N on ID55, then 23 mi NE on paved Warm Lake Rd. 5000 ft. Note: Entrance road to CG is one lane, w/o turnouts, for about 1/8 mi. 12 gravel sites in a single loop on level land. The shallow S Fork of the Salmon River wraps around part of the CG. Not many trees, due to a big fire in 2007. However, a few sites have some left for part time shade. A few pull-thrus for large rigs. A moderately busy road is across the river from the CG for a bit of noise. Vault toilets. $15. Did some exploring the 2nd day of the nearby Stolle Meadows and So Fork Rd areas. Smoke from a fire S of here impacted the views. Rainbow Point CG (USFS). Almost 5 miles SW of Donnelly, ID on W Roseberry Rd and W Mountain Rd. 4800 ft.
12 gravel sites in a single loop on level land. On the edge of beautiful Lake Cascade. About 4 sites are near the lake and have a "through the trees" view. Short walk from any site. Tall trees for some shade in most sites. Generally good site privacy. Another FS CG about the same size 1/4 mi further. Vault toilets. $15. McCall RV Resort in McCall, ID. 5000 ft. Boy, what a classy place! Can't imagine anything nicer. 125 gravel sites, with full hookups, plus some cabins. Indoor pool and hot tub. See all the info on it here. Very nice staff. Some small plane noise from nearby airport. $56 (w/full hookups). My previously trusty fridge gave out the day I arrived here. Went by a local RV repair place to talk to them, but not expecting a fix. They said next appointment date was 2 weeks. Obviously, that wouldn't work for me. I was prepared to go the ice cooler route. Just as I was starting my truck, the counter guy came out and told me to back up to the service bay. 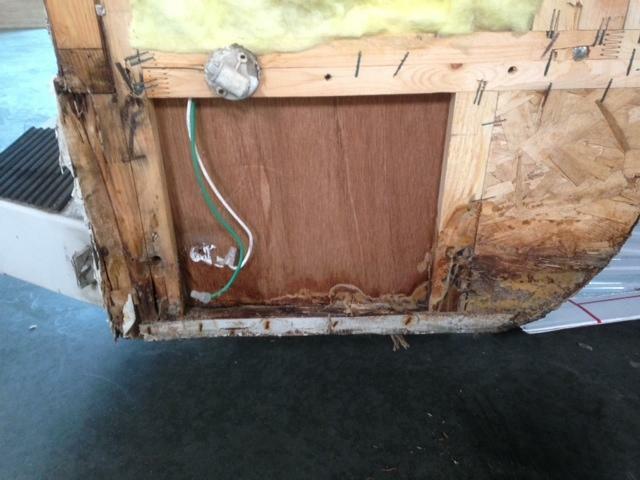 He took the air hose and blew out the interior of my fridge compartment, plus the burner assembly. The next morning I had a cold fridge! Yay! Fish Creek CG (USFS). 7 mi S of Grangeville, ID. From E side of town, take Mt. Idaho Grade Rd and follow signs to Snowhaven Ski Area. CG less than a mile past ski area. 5100 ft.
10 paved sites along a one way paved road. All but the first 2 sites have significant shade from a dense forest of mixed conifers. Well developed sites, with even a concrete pad for table & fire ring. Nice meadow on one side of CG. Picnic shelter on edge of meadow. Road to CG continues past CG and has moderate day time traffic. First sites hear it the most. Vault toilets. $12. Highest CG in a month. Low of 42F at night. Emerald Creek CG (USFS). 25 mi S of St. Maries, ID on ID3, then 5 mi S on gravel Emerald Creek Rd. Gravel road gets a bit narrow and rougher (washboard) the last couple of miles. Watch for CG sign at intersections. 2800 ft. Very nice CG with 18 gravel, well developed sites in a single paved loop. Sites embedded in a dense forest of various conifer trees and bushes. Plenty of shade in most sites, along with good privacy. A few skeeters. A deal at only $6. Way out in the country here. Therefore, there was more traffic than I expected on the adjacent dirt road by the CG (and my site). I assume it was due to rock hounds going to a nearby garnet spot mentioned on road signs. On the way out I read an info board that said this was the largest garnet mining area in the U.S.
First CG choice was full and my GPS routed me wrong (unless I wanted to drive a one lane dirt road) to this one. Finally got here. 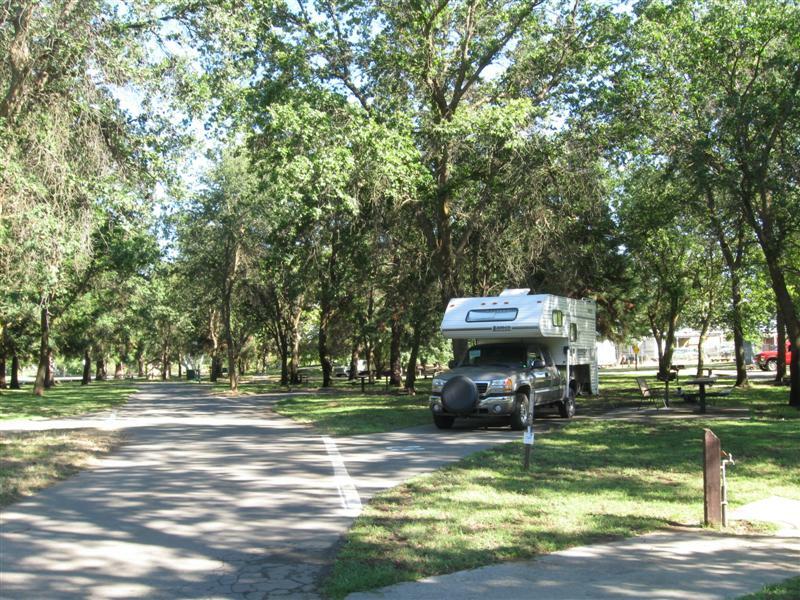 Suntree RV Park. In Post Falls, ID. 2100 ft.
111 gravel sites, packed close together. Lots of trees for shade. Alongside I90 for convenient access (and inconvenient hwy noise). The usual RV Park perks: flush toilets, showers, laundry room, pool. $48 with full hookups. Another RV park in town was full. I called this one and they had one space avaiable, due to a cancellation. Yay! Pioneer Park CG (USFS). 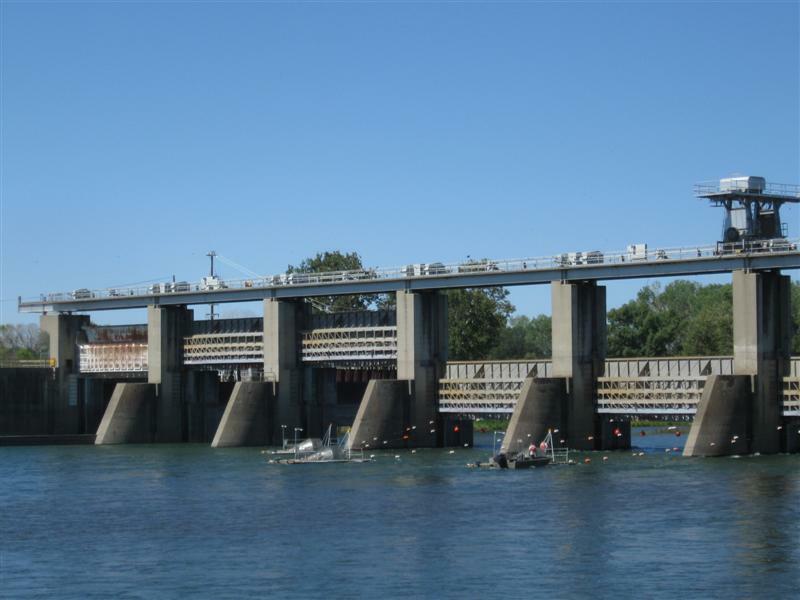 From Newport, WA, cross the river bridge into ID, then immediately turn N (left) on Le Clerc Rd. CG entrance is about 2.5 mi on the left. 2100 ft.
17 gravel sites in a single loop, on sloping land. In dense vegetation of various trees (tall & short) and shrubs. Alongside the Pend Oreille River, although you can't see it from any of the sites. However, the day use area has river access. Some slight hwy noise. Close to town for shopping. Boat launch. Vault toilets. $16. Today wraps up my 10 day ramble across northern WA on hwy 20. I highly recommend it. It's a low to moderate traffic hwy with beautiful scenery. Also, plenty of USFS CGs along the way. Gillette CG (USFS). From Coleville, WA, go about 25 mi NE on WA20, then 1/2 mi E on Pend Oreille Lake Rd. 3200 ft.
Nice CG with 30 gravel sites in a single loop. Sites generally well apart. Moderately dense stand of tall conifers. Trail through forest leaves from CG. Several small lakes and other FS CGs nearby. I had a nice site away from the other campers and decided to stay a 2nd night. Vault toilets. $16. Heck of a thunderstorm on 2nd day, with hail. Created quite a racquet on the aluminum roof of my camper. Listen to it here (15 sec). Rained also that night (w/o hail). Made the mistake of not comparing the route my GPS suggested with a low-tech map. Got to a town where GPS said to take a dirt road over the mountain. Oops, had to backtrack 20 mi and take a different route. Saw a sign for this CG on the way and took it. No harm, no foul. Kettle Falls CG (NPS), Lake Roosevelt NRA. From Kettle Falls, WA go about 3 mi W on US395, then 2 mi S on Boise Rd. 1200 ft.
76 gravel sites on level land in 3 loops. Sites reasonably apart, but little visual screening. Scattered tall pines. On 129 mi long, skinny Lake Roosevelt. About 3 lakefront sites in each loop. Lake not easily accessible from CG, due to steep bank. Boat launch. Flush toilets and sinks. $18. Today I traveled on US395 for a short while. The same hwy that I'm on when I make my annual fishing trip to the Eastern Sierra in CA. It goes all the way to Canada! Canyon Creek CG (USFS). 11 mi W of Kettle Falls, WA on WA20, then S on one lane Bangs Mtn Rd for about 1/2 mi. 2200 ft.
12 gravel sites in a single loop, on sloping land. Sites well apart, but not much low vegetation between sites for screening. Lots of tall, skinny, conifer type trees for shade. Small creek a short walk on paved trail. Some hwy noise, but hwy not that busy. Otherwise, very peaceful. Vault toilets. $6. Bonaparte Lake CG (USFS), 20 mi E of Tonasket, WA on hwy 20 then 6 mi N on Bonaparte Lake Rd. 3600 ft.
30 gravel sites, on level land, in 2 well separated loops. Loops are at either end of a nice, small lake. Most sites are at the N end of the lake. In larger loop, some sites have good privacy, due to spacing and bushes. However, lakeside sites not as good. Plenty of tall trees. Boat launch Flush and vault toilets. Got one of the last 3 empty sites. $12. I always store the CG location in my GPS after I arrive. When I did this, I found out I'd been here back in 2009! Nothing looked famliar. I only came here this time on a recommedation from a FS office. Loup Loup CG (USFS). About 13 mi E of Twisp, WA on WA20, then 1+ mi NW on paved forest road. 4100 ft.
26 gravel sites on 2 levels. 20 sites on the upper level in single loop. Rest in lower level, which has no loop and a restricted turnaround area. Best for tenters and small RVs (like me). Scattered stand of tall conifer trees for moderate shade. Very few bushes for site privacy, but spacing usually good. Convenient to hwy, but far enough away for barely noticeable noise. CG host said usually very few here. Vault toilets. $12. Liked it here so much I stayed 2 nights. Very peaceful. I was in the lower level with only one other camper first night and none 2nd night. Upper level had about 5 sites occupied. One the way here, I visited Winthrop, WA. A touristy town with a western theme. Quite a few people in town mid-week. Lone Fir CG (USFS). About 25 mi NW of Winthrop, WA on WA20. 3300 ft.
27 gravel sites in a single loop. Sites well apart. Most sites are more private and have more shade than mine. Alongside a moderately busy hwy, so expect some noise. Not much at night, though. Vault toilets, $12. Low of 41F at night. Finished driving through North Cascades NP today. Beautiful sights along a not very busy hwy. Was here in 2009, also. Goodell Creek CG (NPS) in North Cascades NP. 22 mi NE of Rockport, WA on WA20. 500 ft.
19 dirt/gravel sites in dense vegetation and tall trees. Good privacy between sites. Fast flowing Sagit River alongside a few sites, but view usally blocked by bushes. Alongside WA20, so some hwy noise, but quiet at night. Vault toilets. $16. Was raining when I hit the sack and the noise of it on my aluminum roof kept me awake for a while. Darrington Bluegrass Festival, 3 mi W of Darrington, WA on hwy 530. 500 ft.
Nice mid-sized festival with great music and scenery Be hard to find a nicer facility for a festival. Weather good most of the time. Rain shower late Sunday afternoon put me in my camper for a snooze. Cleared up and I got to hear the last 2 bands. Got a very private spot with nobody on either side of me! My 4th time here. River Meadows Park CG (County). About 6 mi from Arlington, WA via WA530, Arlington Heights Rd and Jordan Rd. 100 ft.
More of a park than a CG. Two large grass fields and about 10 grass, primitive camping sites. No privacy between sites. A fork of the Stillaquamish River alongside the camping area, but not visible, due to bushes. Hard to access there, too. Nice and quiet at night. Flush toilets. IMO, a bit overpriced at $28. Flowing Lake Park CG (County). NE of Snohomish, WA in Three Lakes area 600 ft.
30+ gravel sites on sloping land, most with elec/water. Tall leafy trees. Many sites have considerable shade (more than mine). Nice lake. Looked like a kids day camp was going on when I checked it out. Showers and flush toilets. $35 (w/water & elec). Note: Sign said no RVs in non-hookup sites, which are $28. Hmmm, money maker rule? Had planned on staying at a county CG in Carnation. However, when I got there it was closed for a special event. So, I continued to my next choice (limited choices for gov't CGs in this area). Ohanapecosh CG in Mt. Rainier NP (NPS). 11 mi NE of Packwood, WA on US12 and WA123. 2100 ft.
Mega CG with 180+ sites in 8 loops. In tall, tall trees. Lots of shade. Sites farther apart than the typical NPS CG. The beautiful Ohanapecosh River flows through the front end of the CG. Free dump station. Flush toilets. $20. I drove through the park today, from the W entrance to this CG. Lucked out with partly sunny skies and saw some beautiful views of Mt. Rainier from the Paradise area. Paradise Point State Park CG. 4+ mi S of Woodland, WA on I5, then 1+ mi N on frontage road. 200 ft.
77 sites (most paved) in tall trees. Two yurts, also. Right alongside I5, so convenient for travelers, but defintely noisy. A heavily wooded section is farther from I5 and in a dip, so not as bad. Better site privacy in this area, too. Lewis River nearby. Showers and flush toilets. $25 (varies with site). Rather than take I84 along the S side of the Columbia River towards Portland, I took WA14 on the N side, for a less hectic drive. Good decision! :) Wish I could have stopped to take a pic of all the wind surfers on the river. 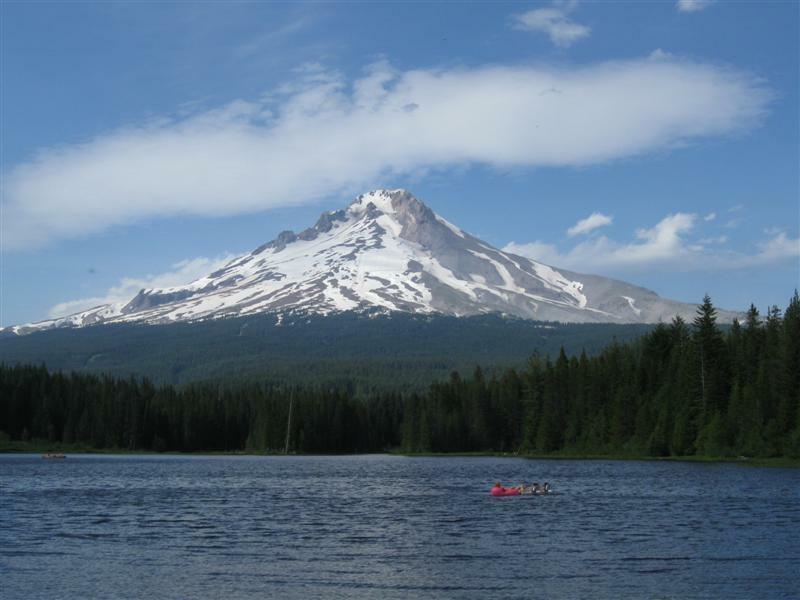 Trillium Lake CG (USFS) 1.7 mi E of Government Camp, OR on hwy 26 then right on paved Forest Road 2656 for 1.4 mi. 3200 ft.
Really nice campground! About 60 paved sites with excellent privacy from heavy vegetation between sites. Beside a nice little lake with no motor boats. Fantastic view of the impressive Mt. Hood from the fishing dock at the S end of the lake. $22. Rain on and off during the day and night. Was here in 2009. 20 paved sites in a single loop, on 2 levels. Lower sites are near the small Breitenbush River. River down in a gulch, though, so access blocked by a fence. A few sites on the lower level have a large, open area for a picnic table and firepit. The other sites have them buried in the "Oregon jungle" type vegetation. Low traffic hwy alongside CG. Vault toilets, $16. Light rain for much of the night. First I can remember since Memorial Day in CA. 10 red dirt sites on level land. Alongside the super clear, spring fed Metolius River. Lots of tall pines for moderate shade. Several other FS CGs close by. Vault toilets. $16. Was in a nearby CG in 2008. 60 dirt/gravel sites very close together. Many tent only. Some tall pines for shade. Some hwy noise from busy US20. Very convenient place to stay for investigating the neat little town of Sisters. Free showers. Flush toilets. $10 dump. $15 ($10 Sr). French Pete CG (USFS). From Blue River, OR go E on McKenzie Hwy for about 5 mi, then right on Aufderheide Dr for about 10 mi. 1800 ft.
17 dirt sites in a single loop, on two levels. Most sites on the lower level. The nice McKenzie River (S Fk) is alongside the lower part of the CG. Only a couple of sites right on the river, but a very short walk from most. The same "Oregon jungle" type vegetation as last night. Vault toilets. $16. Kiahanie CG (USFS). From Oakridge, OR take hwy 58 W about 1 mi, then right on Westfir-Oakridge Rd and Aufderheide Dr for about 23 mi. Watch for campground sign on left. Note: Once in CG, you take a dirt road about 1/4 mi before any campsites. 2200 ft.
Aufderheide Dr is paved and very scenic. Sometimes you're in a "tunnel" of overhanging trees. Nifty, peaceful CG with 19 gravel sites on level land. Excellent privacy between sites. Beside a fork of the Williamette River, although it can't be seen from the sites, due to heavy vegetation. Very short walk, though, and you can hear its music from the sites. Tall, tall Douglas fir trees, various short leafy ones, and some ferns. Moss hangs on the lower branches of some of the large trees. Beside a paved road, but very little traffic. Friendly CG hostess. Didn't fill for the holiday weekend! Very few skeeters. Vault toilets. $10. Was worried about finding a spot for the holiday weekend, afte striking out twice. Then I decided to head for a boondocking spot I'd been in way back in 2009. Along the way I saw a sign for this nice little CG and they had plenty of spots. Yay! Thielson View CG (USFS). About 5 mi NW of the OR138/OR230 jct N of Crater Lake National Park. 5200 ft.
Was here in 2012, also. Mazama CG at Crater Lake National Park, OR. 6000 ft. Still Snow At 7500 Ft.
Mega CG with 200+ paved or dirt sites in 7 loops (some tent only). Lots of tall trees for shade. Flush toilets. Store/laundry/showers/gas station nearby. About 7 mi to West Rim views of lake. Several skeeters. $31 (small RV, no hookups). Was here my first of ramblin' in 2006! Juanita Lake CG (USFS). From Weed, CA go 35+ mi N on US97, then left on Ball Mtn Rd for 2.7 mi, then right on paved, sometimes narrow Forest Rd for 3.8 mi, then left to CG. 5100 ft. Very nice CG with 22 paved sites in a single loop. Sites spaced well apart and some have very long pads. Lots of conifer type trees, some very tall. Nice lake with 1.7 mi paved trail around it. Stocked with fish per CG host. Far from the hwy, so nice and quiet. Water faucets marked as "non potable". Vault toilets. $15. Crater Lake CG (USFS). 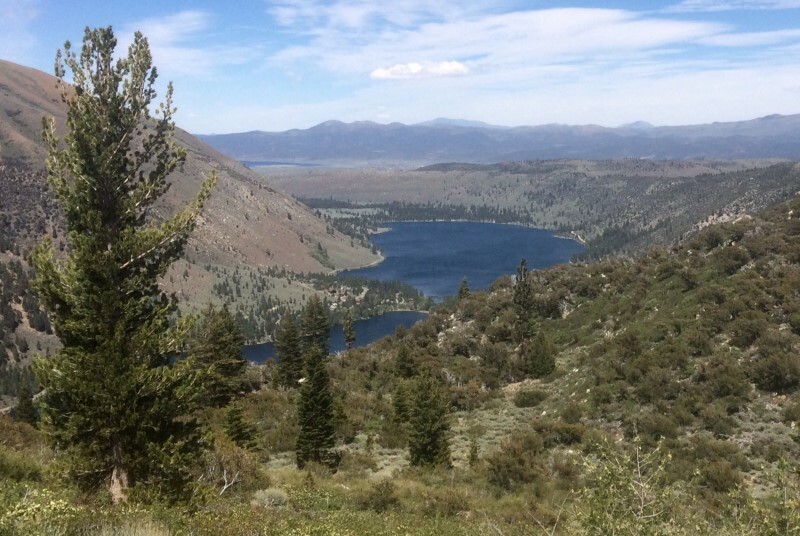 From Susanville, CA, go 6 mi W on hwy 36, then 22+ mi NW on Feather Lake Hwy, then almost 7 mi on gravel/dirt Crater Lake CG Acc Rd. 6800 ft.
Nice, remote CG with 17 dirt primitive sites in a single loop on 2 levels. 3 sites have a nice view of a very pretty lake (and I got one). Predominant trees are conifers and aspens, providing varying shades to sites. Lots of large volcanic boulders around. Separate parking area for day use lake acess. Vault & pit toilets. $10. I liked it here. Significantly cooler here than in Susanville. Yay! Lassen County Fairgrounds in Susanville, CA. 4000 ft. Here for the 3rd time for the very fun Susanville Bluegrass Festival. Medium size festival with mainly local/regional acts, but plenty of very good music! Headliners were national acts: The Box Cars and The Chapmans. Weather got progressively warm over the weekend, but tolerable in the shade. Evenings very pleasant. Sycamore Grove CG (USFS). 2.5 mi S of Red Bluff, CA on Sale Lane. 250 ft.
Robinson Creek CG (USFS). 9 mi SW of Bridgeport, CA on Twin Lakes Rd. 7000 ft. Very popular CG with 54 paved sites in tall pines on level land. Shade varies significantly with site. The very nice Robinson Creek wraps around the CG. Usually good fishing, if they have stocked recently. Much more water in it vs. last year. Many sites on the creek. My favorite Sierra CG. Several other CGs nearby. $23. Had a great time camping with my daughter and son and family. This was my 40th year to camp in this area. 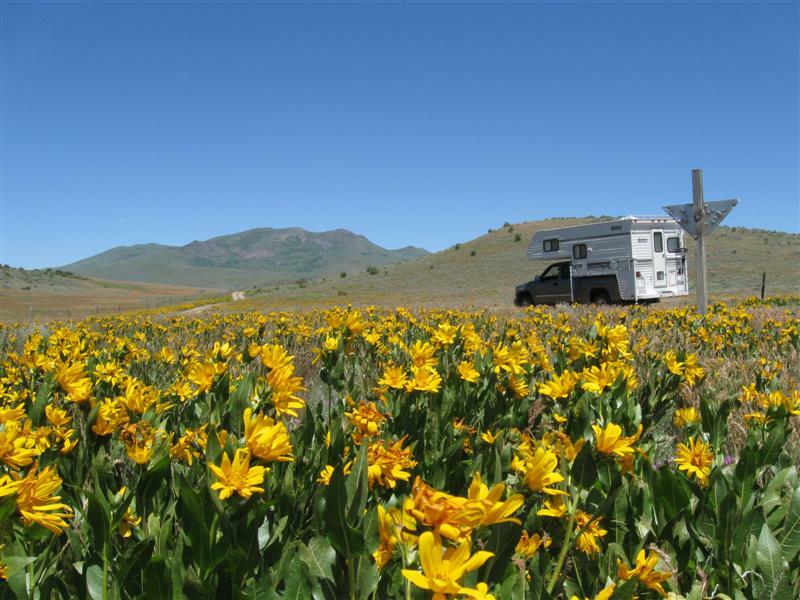 Boondocking site (USFS). Not a developed campground. South of Lake Tahoe, CA in the Hope Valley area. 2.5 mi SW of the hwy 88/89 jct and 4.5 mi S of hwy 88 on Blue Lakes Rd. 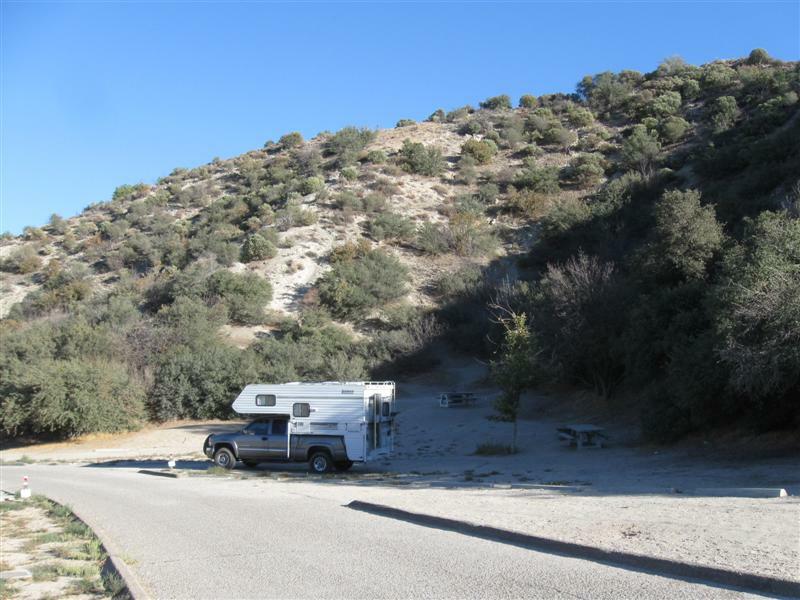 7500 ft.
Popular boondocking area spread out over about 3/4 mile alongside Blue Lakes Rd. Spots for both small and large rigs. Views of creek/meadow/mountains vary with site. Creek size Carson River (West Fork) nearby (has more water than other times I've been here).. My 4th time here. I like it! $0. Tried fishing a few minutes, but no hits. Talked to another camper that had the same results. Buckeye CG (USFS). 7+ mi SE of Bridgeport, CA on Twin Lakes Rd, then 3+ mi on good dirt road (turn at Doc & Al's sign). 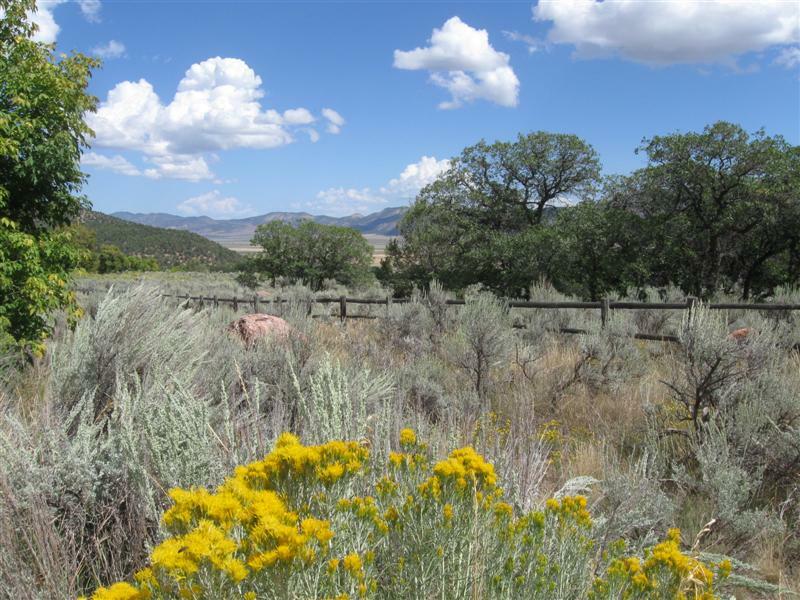 7200 ft.
65 paved sites on hilly land, sometimes close together. In 4 loops, one tent only. Buckeye Creek down in a canyon along one side of CG. Unless you're a goat, you wouldn't reach it. However, accessible in various places approaching the CG. Water shut off when I was there. Vault toilets. $18. Wow, beautiful views of the valley from the dirt road to the CG! Lower Lee Vining CG (USFS). About 3 mi W of US395 on Tioga Pass Rd in the Lee Vining, CA area. 7300 ft. Note: 1/4 mi. entry road from hwy is very rough with rocks and bumps. Drive slow. 50+ dirt sites (some tent only) on level land. Sites generally close together. Laid out somewhat randomly w/o organized loops like many CGs. Trees predomiately tall pines and aspens. One section has very shady sites, due to a thick grove of tall pines. Nice creek along one side, but only a few tent sites are on it. $18. Boondocking site (USFS) Not a developed campground. 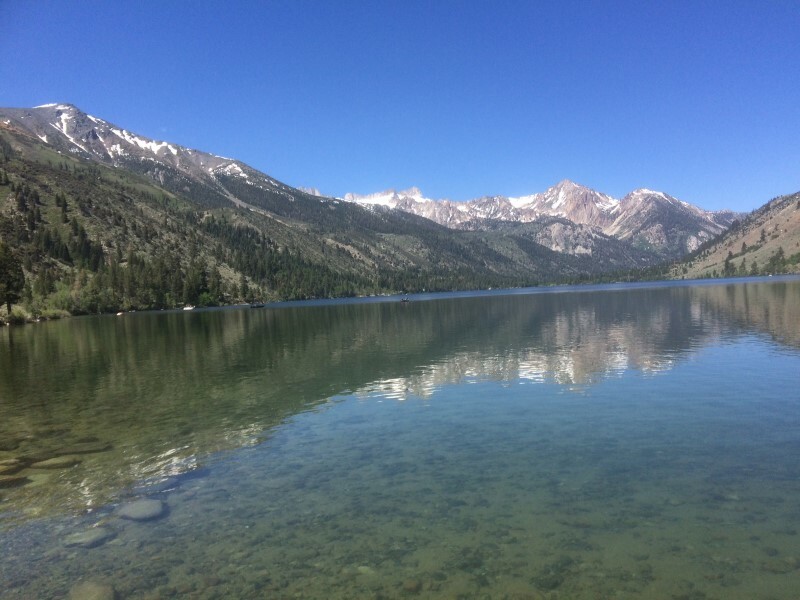 From the June Lake, CA loop road (S end) junction with US395 go 7+ mi SE, then 1/2 mi NE on Owens River Rd, then 1/4 mi N on unmarked dirt road (map says 02s214). 7500 ft.
Nice, good size clearing in the tall pines and easy to get to. Only about 1/4 mi off a paved road via a one lane dirt road. US395 is about 1/2 mi away, but only trucks produce a bit of a hum. Had it all to myself. The usual boondocking fee of $0. Note: Other spots in this general area. Was here last October 2nd and it got down to 21F at night! Only 37F this visit. French Camp CG (USFS). 23+ mi NW of Bishop, CA on US395, then 1/2 mi W on Rock Creek Rd 7300 ft. Note: Exit US395 at "Tom's Place" sign. 86 dirt sites on sloping land, full of boulders. A long, oval road accesses the sites, with 4 crossroads in the oval. Some sites will full hookups. Plenty of conifer type trees for at least some shade. Rock Creek to one side of CG, but not visible from any site. Makes nice music, though. Flush toilets and sinks. Very handy to US395 travelers. $23. I spent the afternoon in Bishop for laundy/shopping Man it was hot - about 95F. The 3K ft increase in elevation to this CG dropped the temp about 10F. Grandview CG (USFS). 13 mi NE of Big Pine, CA on curvy CA168 then 5+ mi N on White Mountain Rd. 8500 ft. Primitive CG with 26 dirt sites scattered among short trees (juniper & pinyon pines). In 3 separate areas; 2 separated by a sagebrush meadow and one up on the hill. Look for picnic tables, as sites not obvious. No water . Vault toliets. 5 miles up the road is the Visitor Center and the "Schulman Grove" of Bristlecone Pines (up to 4000 years old). Wow, I feel young again!! 3rd time here. $5 donation requested. Upper Sage Flat CG (USFS). 9+ mi W of Big Pine, CA on Glacier Lodge Road (aka Crocker in town). 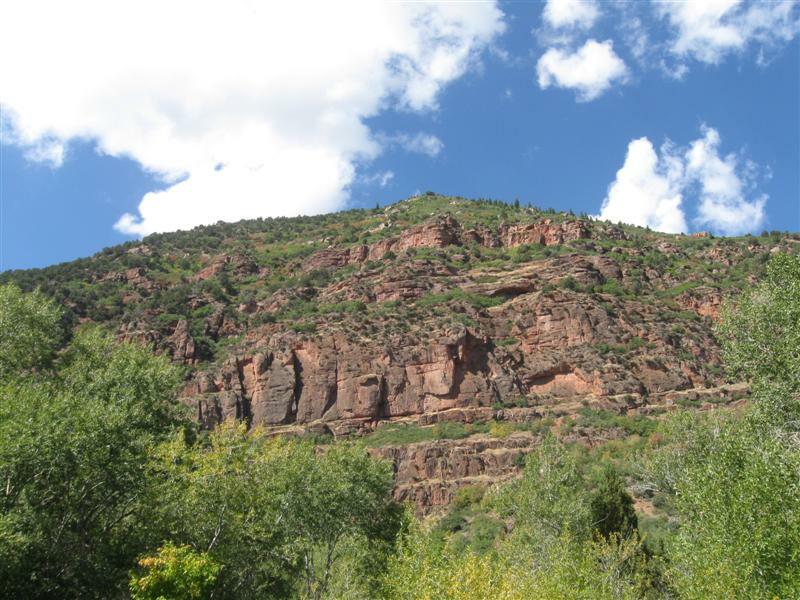 7600 ft.
21 paved sites on slightly sloping land in a canyon. Located between the road and fast flowing Big Pine Creek. Tall pines provide shade to most sites at least part of the day and a few sites most of the day. Vault toilets. I got a primo site with a great view of the creek out my backdoor! $22. Two other CGs within a mile of here ( Sage Flat and Big Pine Creek). Also, Glacier Lodge (with food) a mile up the road, where it ends.. Tried fishing a few minutes, but water too fast for my type of fishing with a small metal lure. Upper Gray's Meadow CG (USFS). 6 mi W of Independence, CA on Onion Valley Rd. 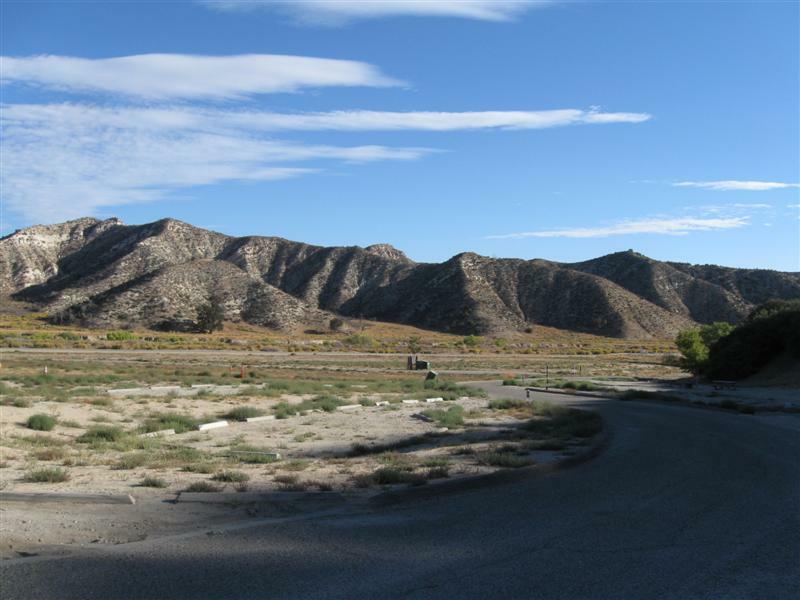 6000 ft.
35 paved sites (most close together) on sloping land at the base of the Eastern Sierra Mountains. Small creek alongside CG making nice music. Sites near creek have trees for shade, but others very sunny. A wide variety of trees; oak, birch, pine, plus ???. Even some ferns around. Vault toilets. Not many people here. Got a very nice shady site, close to the creek. 2nd time here. $19. Boondocking site (BLM). Not a developed campground. In the Alabama Hills area a few miles W of Lone Pine, CA, off Whitney Portal Rd. 4700 ft. Very interesting rock formations close by and the majestic Eastern Sierras in the distance. Mt. Whitney visible from my site. Absolute quiet at night. My 4th time here. $0. Continues to be breezy and the temperature creeps up. Tuttle Creek CG (BLM). 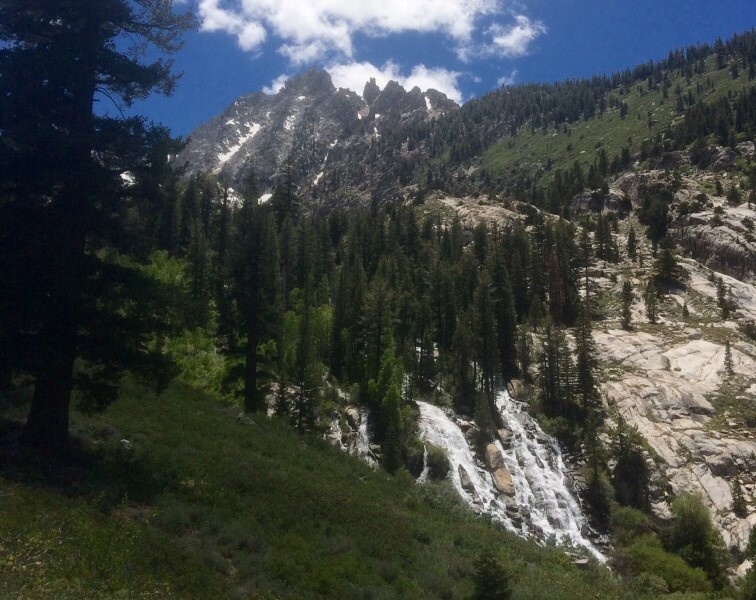 5 mi SW of Lone Pine, CA via Whitney Portal Rd & Horseshoe Meadow Rd. 5100 ft.
80+ dirt sites, well apart, on sloping ground. Zippo significant shade. Vault toilets. Beautiful view of the Eastern Sierra mountains and the Owens Valley. Very small creek in CG, but stocked with trout. Just several miles away from the highest point in the lower 48 - Mt. Whitney, 14,494 ft. $5 dump station and $5/nite. My 4th time here. 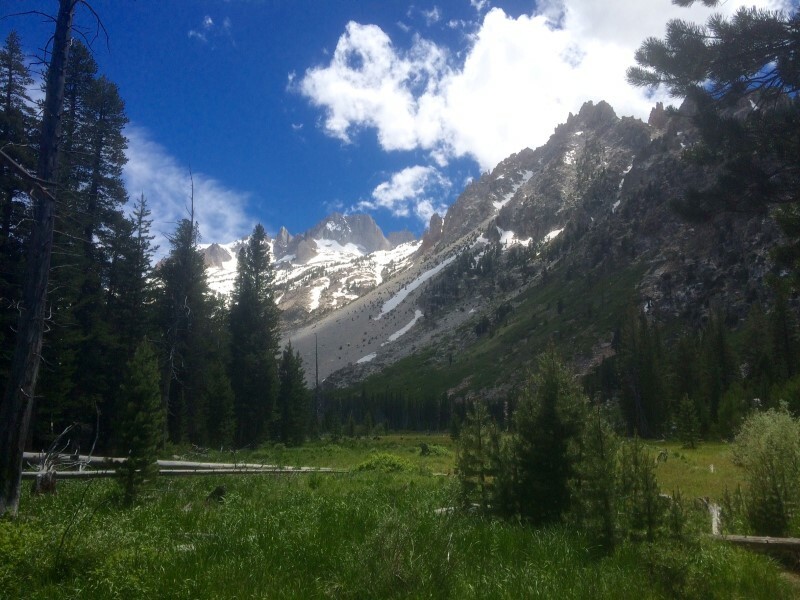 Yay, I'm back to camping and in my favorite part of CA for recreation - The Eastern Sierra. Been fishing this area for almost 45 years. Visted the very interesting Museum of Lone Pine Film History on Sat. If you're interested in old cowboy movies, you'll enjoy it. Many made in this area. Was a bit breezy here a lot of the time and got warmer each day. Spent a couple of weeks visiting friends in SoCal, where I toiled during my working years. Sure glad to get out of that hectic traffic!! Steckel Park CG (County), 5 mi N of Santa Paula, CA on Ojai Rd. 700 ft.
My frequent stop to and from SoCal. 40+ sites between the hwy and a large river bed. 8 or so with hookups and concrete pads. Quite a few large oak trees. Porta potties and one restroom with flush toilets and showers. I'm in the cheaper, no hookup section, with dirt sites. Santa Paula River a short walk through the trees. $23. Parkfield, CA ("The Earthquake Capitol of the World") for the Parkfield Bluegrass Festival. NE of Paso Robles, CA in farming country. About 15 mi off of CA41/46 or 25 mi off US101, via San Miguel. 1500 ft.
My 4th time at this great mid-sized bluegrass festival. Try it, you'll like it. Weather a bit iffy at times, but not terrible. Lots of good music by primarily regional and local acts. Camped with friends from SoCal and got some good jamming in.